Anton Lang was offered a professorship at Georgetown University in 1932, and taught German and of German Literature for four decades. 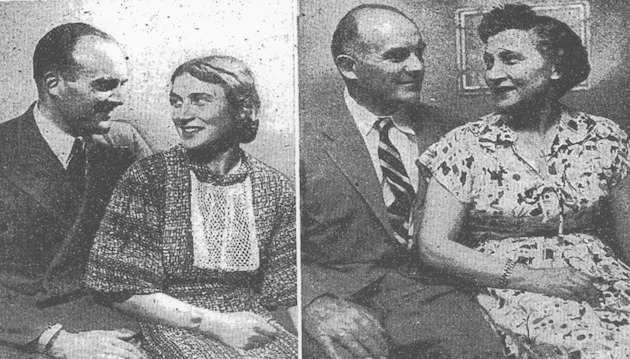 From about 1938 to about 1970, Anton and Klara Lang and their five children were residents of 2027 Huidekoper Place. Anton Lang and Klara Mayr were born in Oberammergau, Germany, to families that were actors in the Oberammergau Passion Play, first performed in 1634, which is performed every ten years. Lang’s father had portrayed Jesus three times. The couple became engaged in 1933, but postponed their wedding for a year so that she could play Mary Magdalene. Klara’s father played Judas. 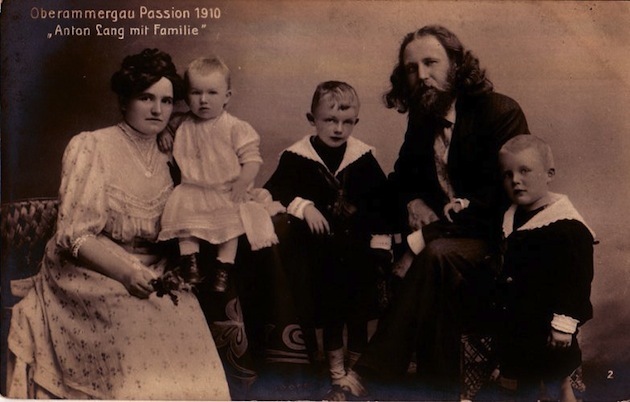 Dr. Lang’s parents and siblings in 1910. 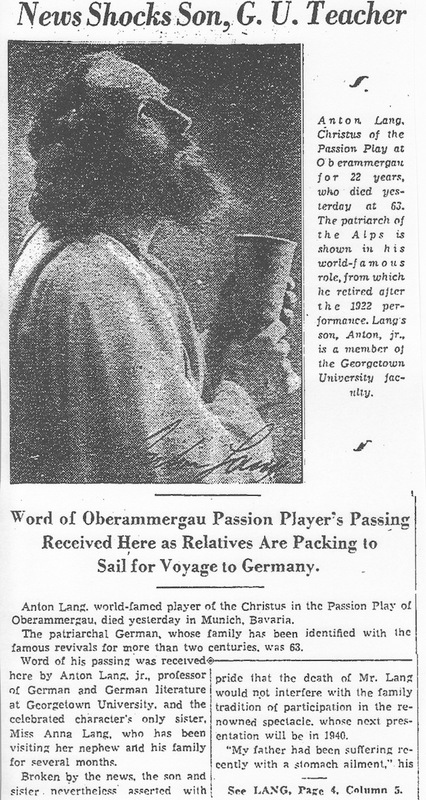 Lang’s father, a potter in Oberammergau, played Jesus three times in the town’s decennial passion play; his sons Anton and Gottfried grew up to be academics in the United States. 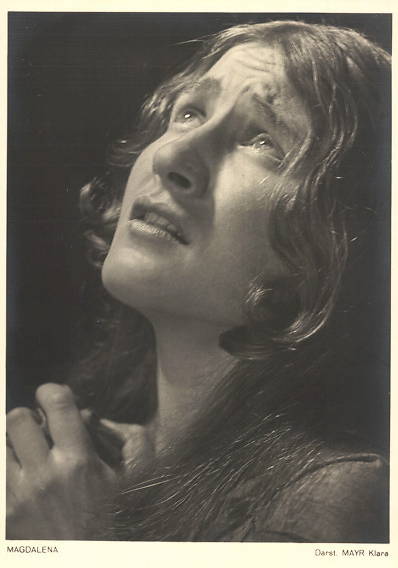 Klara Myer as Mary Magdalene, 1934. ANTON J. LANG, 82, a former chairman of the modern languages department at Georgetown University, where he was a professor of German for 44 years before retiring in 1976, died of cancer Feb. 4 at the Fairfax Nursing Home. He lived in Vienna. Born in Oberammergau, Germany, Dr. Lang came to the United States in 1926 and settled in Washington. He graduated from Holy Cross College in Massachusetts in 1928. Later he studied languages at the University of Munich and Grenoble College in France, and he earned a doctorate in modern languages from the University of Goettingen in Germany in 1931. Dr. Lang returned to Washington in 1932 and became a language professor at Georgetown. He was chairman of the modern languages department from about 1965 to the early 1970s. Survivors include his wife, Klara, of Hyattsville; four daughters, Elizabeth L. Klein of Vienna, Annemarie L. Abresch of Prince Frederick, Md., Roswita L. Case of Fresno, Calif., and Renata L. Burgess of Golden, Colo.; one son, Anton (Tony) J. Lang Jr. of Littleton, Colo.; two brothers, Karl Lang of Oberammergau and Gottfried Lang of Boulder, Colo.; three sisters, Martha Krause of Aachen, Germany, and Ria Ringseisen and Tidda Raab, both of Oberammergau; 20 grandchildren, and one great-grandchild. Klara Mayr Lang, 79, a longtime Washington area resident and a member of Holy Trinity Catholic Church in Washington, where she sang in the choir from 1934 to 1980, died June 2 at the Sacred Heart Home in Hyattsville. She had Alzheimer’s disease. Mrs. Lang was born in Oberammergau, Germany. She made her first visit to the United States in 1931 while on tour with the cast of the Oberammergau Passion Play. 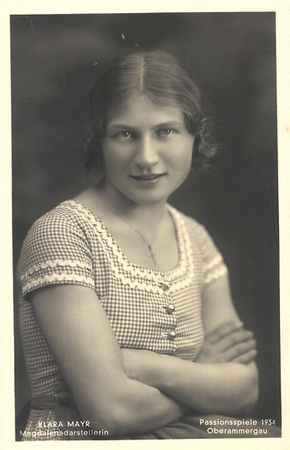 She returned to this country in 1934 and settled in the Washington area. 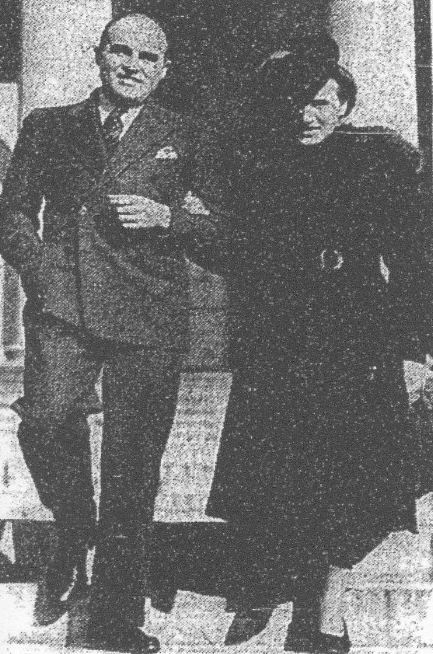 Her husband, Anton J. Lang, died in 1987. 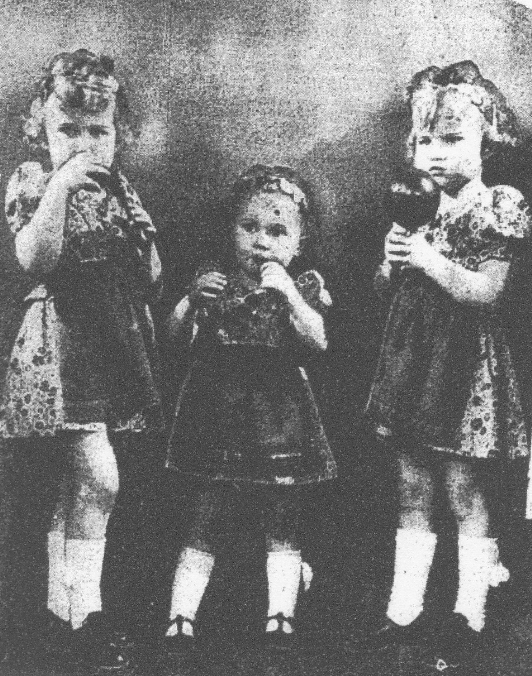 Survivors include four daughters, Elizabeth L. Klein of Vienna, Annemarie L. Abresch of Prince Frederick, Md., Roswita L. Case of Benicia, Calif., and Renata L. Burgess of Golden, Colo.; one son, Anton J. (Tony) Lang Jr. of Littleton, Colo.; three sisters, Maria Schneider of Washington and Marta Heinzeller and Irma Preisinger, both of Oberammergau; 20 grandchildren, and one great-grandchild.